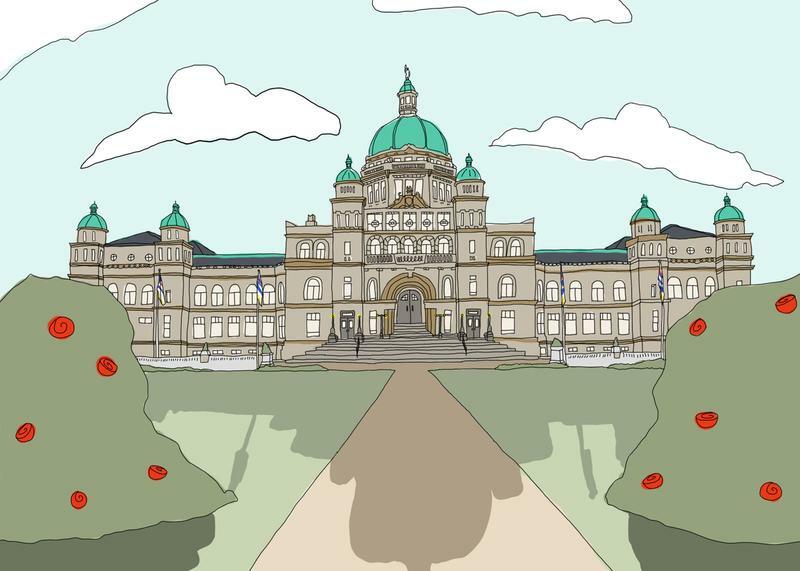 In a recent trip to Victoria, AMS VP External Cristina Ilnitchi lobbied the provincial government about affordable higher education and support for schools’ sexual violence and misconduct policies implementation. In particular, Ilnitchi advocated for a restructuring of BC’s financial aid system, increased funding for open education resources (OERs) and an assessment of post-secondary schools’ capacity and needs in addressing sexual violence. To achieve its goals, the AMS partnered with the Simon Fraser Student Society (SFSS) and the BC Federation of Students (BCFS), collectively representing over 200,000 students in the province. The provinces of Manitoba, Newfoundland and Labrador, Prince Edward Island and Nova Scotia have already eliminated interest from student loans. The AMS, SFSS and BCFS want BC to do the same. According to Ilnitchi, students that take out student loans end up paying more compared to their wealthier peers who can pay their tuition up front because of interest. Since the NDP promised to do away with student loan interest on the campaign trail, she thinks it’s a realistic ask. “We’re really excited to see that this is something that the province recognizes and we hope to continue asking this from them, and to see how the next budget and the budget afterwards reflects this promise that they made,” said Ilnitchi. The group also wants BC to offer up-front grants, since the province currently only provides "boutique" grants that are generally smaller and more selective. She said this change would help students when they need it most — in the beginning of term when tuition and housing fees are due. Citing textbook costs, they also asked for funding to expand OERs. At UBC, the 2018 AMS Academic Experience Survey found the average amount spent on textbooks to be $760 for undergraduate respondents and slightly less for graduate respondents at $574. The survey noted the trend of students not buying textbooks due to costs. The student groups advocated for a $5 million allocation to BC Campus, the provincial body that develops OERs. According to Ilnitchi, this funding would go toward building new OER textbooks and additional resources, like slides and test banks. The trip’s other big ask was for the government to support schools’ sexual violence and misconduct policy implementation — over one year after the provincial deadline for schools to put their stand-alone policy into effect. “What we’re asking for is now a year into it … is to do a full review of what sexual violence policies look like across the province — look at the gaps, look at the consistencies [and] how can we make them better,” said Ilnitchi. Over the summer, UBC was criticized for the sluggish implementation of its own sexual misconduct policy after students flagged crucial gaps in the office. Since then, the university has amped up its outreach efforts and worked toward filling capacity gaps. But 20 of the 25 post-secondary schools in BC don’t even have dedicated offices for survivor support, making holistic assessment a priority. “UBC is in a really lucky position to have the resources to be able to not just create a stand-alone office for sexual violence prevention and response, but to also have an investigations office and something like a dozen dedicated staff members,” Ilnitchi said. When asked about other student issues like mental health and rental rights, Ilnitchi said they were discussed — but since the trip was a collaboration, the AMS couldn’t focus on all of its asks. SFSS VP External Jasdeep Gill said that students' interests are also “competing” with many other important provincial issues that require funding, such as the need to rebuild communities that were devastated by recent wildfires. “Recent natural disasters have strained the provincial budget and slowed the progress on issues such as investments in the advanced education system of BC,” Gill wrote to The Ubyssey. But Gill, Ilnitchi and BCFS Chair Aran Armutlu all considered this lobbying trip a success. “Schools all across the province came together to advocate together, which is really exciting to ... be able to have this united front, to have these collective asks that all students agree on or are pushing for,” she said.